An easy addition to any grilled dinner is grilled asparagus. The cooking time is so quick that I like to prepare this while the meat that I grilled is resting. The smokey flavor and charcoal char make this a perfect companion for a steak dinner ! 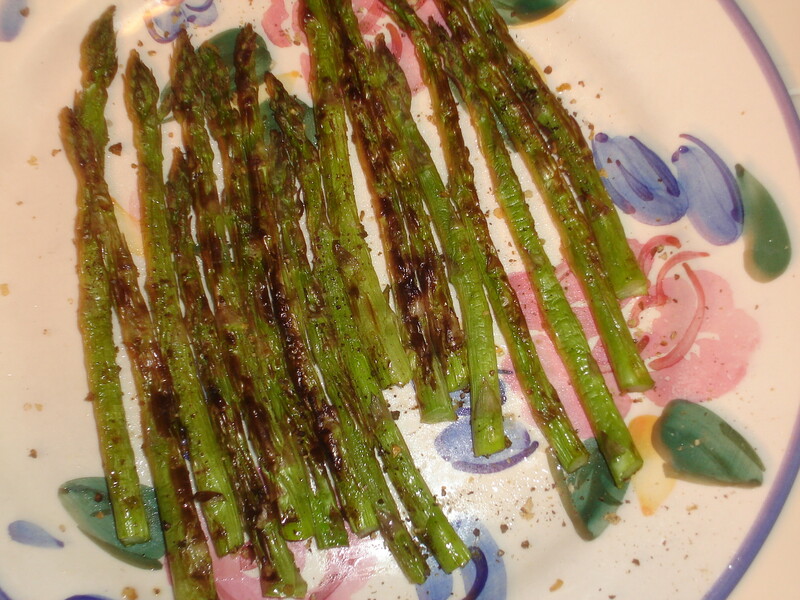 Before grilling, season the asparagus with canola oil and Trader Joe’s Lemon Pepper seasoning blend. When ready to grill, set the grill for direct high heat using the 3 second method. If this is the first item you’re grilling, do so for 1 1/2 minutes covered, then flip and repeat. If you’re grilling after you have done steaks,chops, etc extend the time to 2 minutes per side. 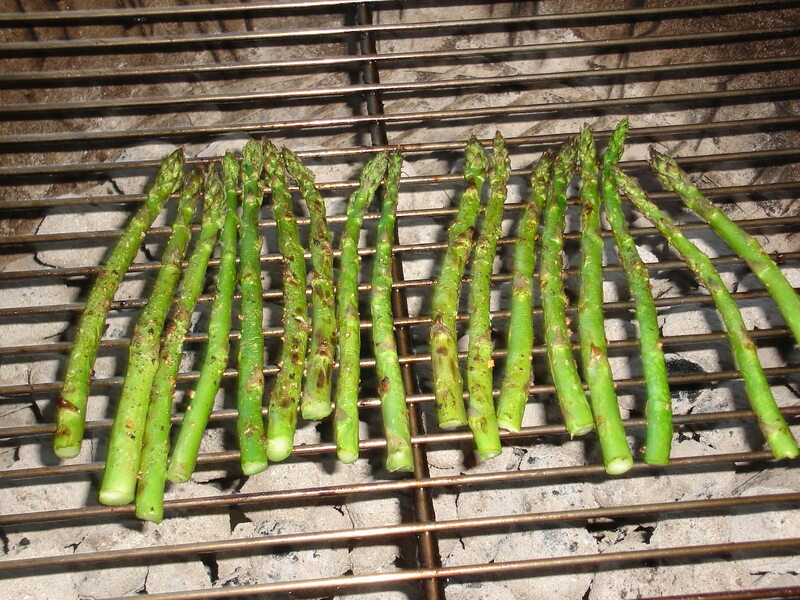 Always make sure that you place the asparagus on the grill perpendicular to the grill bars, paying special attention when you flip them. Adding grilled asparagus to your grilling bag of tricks places you one step closer to becoming the Master of the Grill !